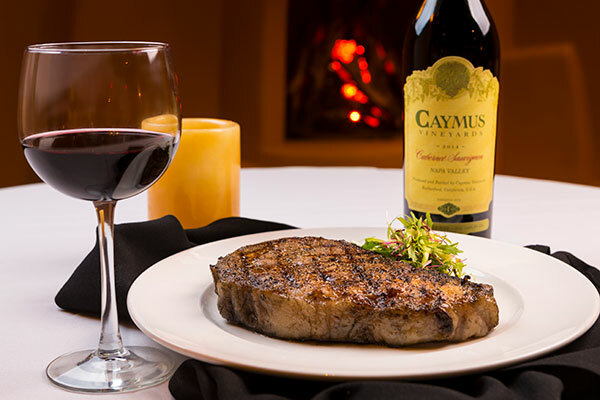 A favorite with locals, Cactus Creek Prime Steakhouse is Reno’s Original USDA Prime Steakhouse. Here, you can enjoy fine dining in a relaxed atmosphere. Located within the Bonanza Casino and adorned with a Southwestern décor, Cactus Creek Prime Steakhouse specializes in USDA Prime-grade beef. Each of our dishes is prepared daily, using only the finest ingredients. A perfect complement to any meal, Cactus Creek Prime Steakhouse offers a wide selection of fine wines as well as a variety of decadent desserts to top off the evening, prepared by one of our award-winning chefs. With exceptional cuisine, first-class service and a comfortable and inviting atmosphere, it’s no question why Cactus Creek Prime Steakhouse was voted Best in Nevada 2010, 2011, 2012, 2013, 2014, 2015, 2016, 2017 & 2018 by Nevada Magazine. Open Wednesday through Sunday, 5:00PM – Close. Reservations recommended. For more information or to place a reservation, please use the reservation booking tool to the right of the page or call (775) 334-5555.